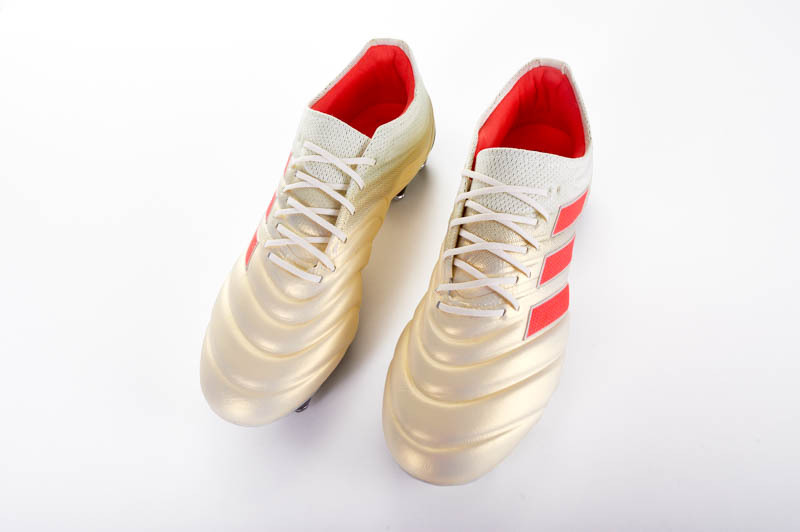 famous rubber elements are no longer found on the latest edition of the Pred line as the Primeknit material has landed in the top Pred models. But what else has changed with the new Predator 18.1? The answer…a lot. The new Predator 18.1 looks like a winner. 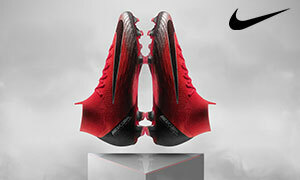 The boot looks mean in the launch colorway with a mainly black upper with red and gold accent colors helping the cleat look as clean as it is mean. The sock always gives a boot a more “high-end” look even if it doesn’t really do much in terms of protection. The raised elements look like the Pred zones of old that so many midfield players have been missing for years. Overall, the latest Pred looks like a winner, even with only one colorway available. It will be fun to see what kind of new or call back colorways adidas will paint onto the Pred. The Pred 18.1 is surprisingly comfortable. I had thought that the possible downside of the Pred’s return would be comfort but this boot is up there in my opinion on the most comfortable boots I personally have worn. The shoe stretches a good bit to accommodate a wide variety of foot sizes. 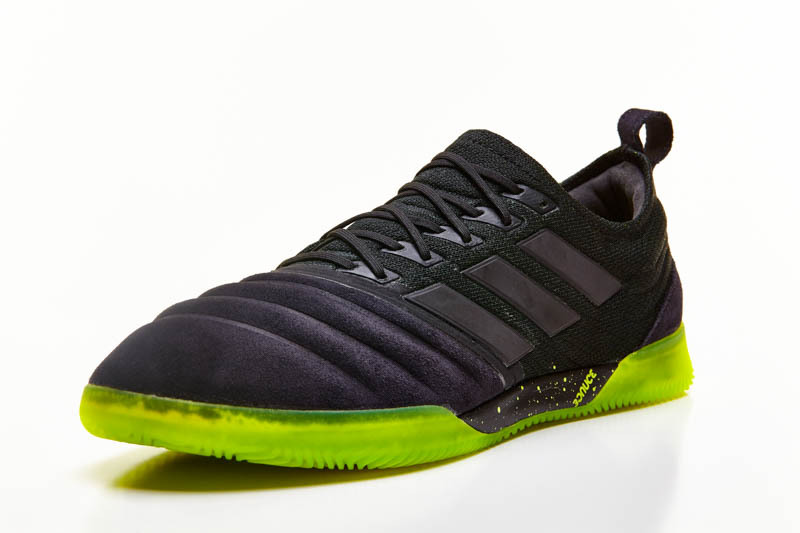 If you have wide feet, I would usually say avoid the adidas Predator as it would be too tight however I have slightly wider than average feet and I had zero comfort issues at all. As far as tech specs and performance goes, the Pred 18.1 is one of the top contenders for boots of the year in my opinion. It has one of the softest synthetic uppers I have experienced on a cleat. The Primeknit upper has ridged areas to give different levels of touch when controlling and striking the ball. On top of that, NSG (Non Stop Grip) has been applied on top of the Primeknit to give the best grip on the ball in all weather conditions. 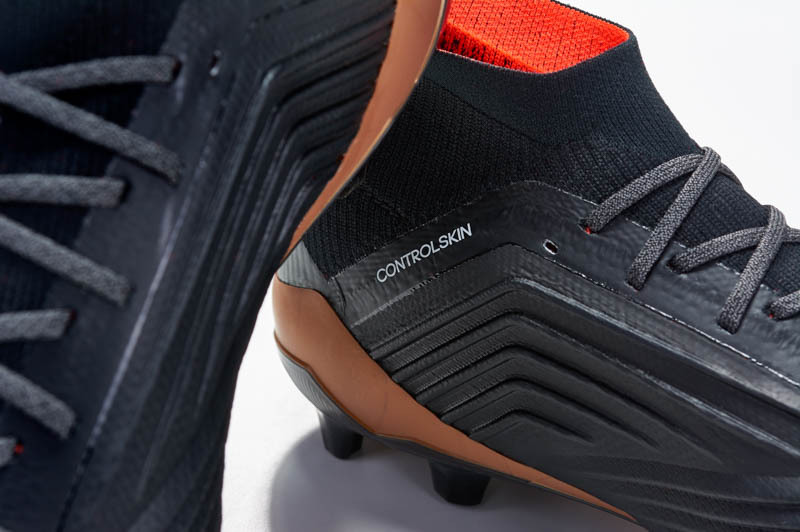 The ControlSkin upper gives a thicker feel than a traditional Primeknit boot. The PrimeKnit sock is one of the best socks in the business right now. It fits perfectly under the ankle but high enough up the Achilles that it gives a one to one feel to your foot, despite a thicker upper. The soleplate is newly redesigned Sprint Frame. The Total Control stud alignment features triangle shaped studs designed for a better turning and stability under the foot. A small external heel counter is added to lock in your foot and to protect from some crunching tackles. This of course being the laced version of the high-end pred, thin black laces are over a Primeknit sock in place of a natural tongue. While playing in the Pred, I was blown away with the new addition into the storied family of control boots. 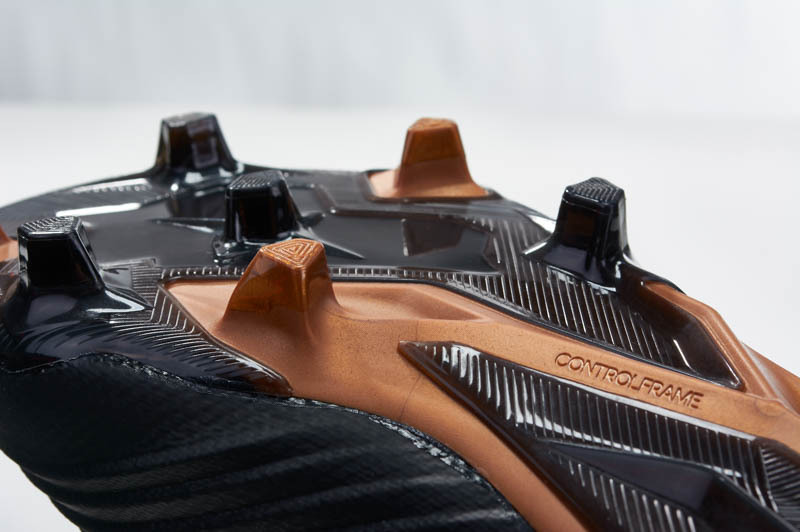 The tight fit no matter the foot size, the traction from the soleplate, and ultimately the touch on the ball, all add up for the top control boot on the market right now in my opinion. I was seemingly dead set on the Magista Opus winning my personal control boot of the year award, but after play testing the Pred 18.1 for almost a month, I am convinced the Pred is the top at the moment. The control zones are found around the foot to give different feels on the ball depending on where you want to control or strike the ball. Overall, the Pred is a boot made for anyone. 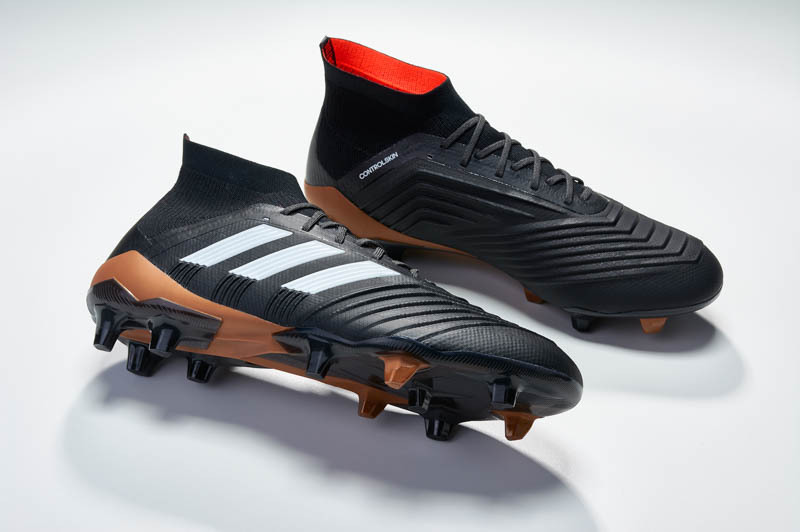 It doesn’t matter whether you are the star striker, the midfield magician, or the guardian defender, the Pred is for you. The Pred is being worn all over the world, and you can check out come of the players in Andrew’s weekly boot spotting articles. Players seem to be leaning towards the laceless version but a few like Eliaqium Mangala love the brand new Pred 18.1. I would not be surprised that we may see some players start switching over to the laced version much like eventually happened on the ACE line up. 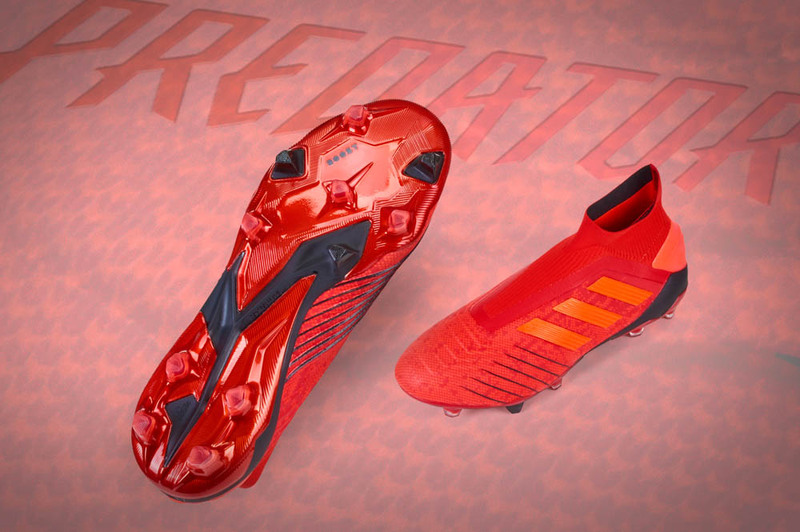 What you are getting with the latest Pred is one of the top boots in the game. It may not be like the Preds of old, but it is a truly unique experience that will rival any boot on the market today. The boot truly shows what can now be accomplished with knitted uppers in terms of different layers, textures, and more. If adidas were to release a leather or even synthetic leather version of the Pred 18.1, I think it would appease all of the Pred fans of old. But as far as current releases, this Pred 18.1 is one of the best boots on the market today.